Vegetables: the one thing all dietary theories agree on. 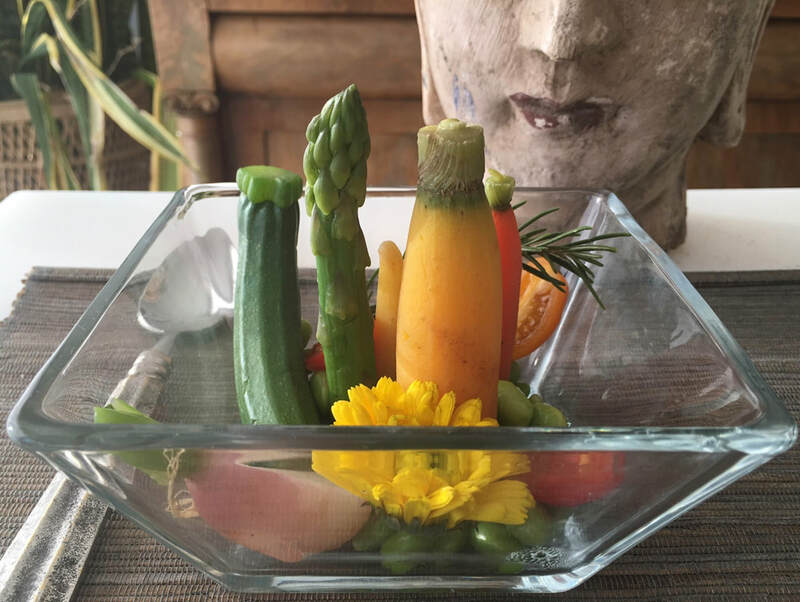 Veg-centric is a collection of three cooking classes dedicated completely to the beauty and diversity of vegetables and learning to cook them with ease. In each class, basic techniques will be taught through the medium of vegetable dishes. So each time you leave a class, you will have more knowledge of how to work with knives and other tools, how to use heat to your advantage, how various ingredients respond under different circumstances, how to work with spices and other flavor components plus you will have new recipes to add to your repertoire. This is a hands-on class. Each student will have a cutting board and knives and will be working with ingredients throughout the class. There will be no animal or gluten ingredients used in the curriculum, making this perfect for anyone following a vegetarian, vegan or gluten free diet. But all of the dishes we will explore can easily be modified to include meat and dairy, and tips on doing that will be included. Each class will conclude with a wine tasting that pairs nicely with the dish of the day. In preparation for the holiday season ahead, this class will focus on the heartier greens like Swiss chard, kale and spinach. We will learn how to work with these greens to create vibrant salads that match the weather this time of year: tossing them with things like warm, spiced vinaigrettes and roasted fruits and winter squashes. We will learn the basics of making a vinaigrette as well as continue to work on our knife skills. You will walk away with some great side dish ideas for your holiday parties! Aromatics are the lovely group of vegetables that form flavor foundations for many different types of dishes, including soups, stews and sauces. In this session, we will work with garlic, onions, leeks, etc. and learn to make a vegetable stock, the foundation for endless soup recipes. We will also practice those same knife techniques to make a classic French cassoulet, full of fresh vegetables and herbs. In this class we will work with vegetables like broccoli, cauliflower, cabbage and Brussels sprouts. These are super healthy vegetables that are great for any diet! We will look at ways to prepare them raw or cooked. We’ll blanche, stir-fry, steam and roast in this class. Recipes you will walk away with: caramelized cauliflower in Moroccan ras el-hanout spices, sweet cabbage stir-fry with toasted sesame oil and honey and the most perfect roasted brussels sprout dish ever! In this hands-on four-week series, you will learn foundational cooking techniques that will set you free in the kitchen. 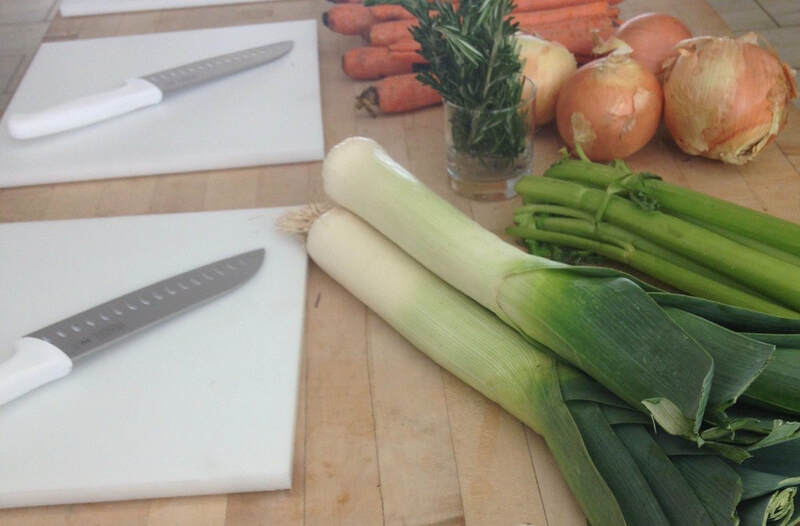 We will cover basic knife skills and how to cut vegetables for maximum flavor. You will learn how to poach, steam, roast, stir-fry and blanch vegetables, as well as how to work with grains. We will also teach a basic vinaigrette template recipe that you can use to create your own variations. All of the dishes taught in this class will be gluten, dairy and soy free, with suggestions on variations for adding in dairy or meat ingredients if you wish. New class coming soon..... click here to sign up for newsletter updates. No matter where you are on your diet path, this 3 week series will be helpful if you are interested in reducing the amount of animal sourced foods in your diet, eliminating them completely or just making sure you get more fruits and vegetables daily. If animal foods are included, they are low fat. Plant based doesn’t necessarily mean vegetarian. Fresh fruits and vegetables are full of vitamins, minerals, fiber and other phytonutrients not found in any other foods. The more nutrients you pack into your diet each day, the stronger and more vibrant you will feel and you will be giving your body the materials it needs to heal itself. But as has been demonstrated by the time-honored, science-backed Mediterranean diet, a lifestyle with the foundation of fresh vegetables and fruits, grains and legumes can also include small amounts of animal products. We know that minimizing our consumption of meat and dairy products is good for a healthier body as well as healthier planet. But that doesn’t necessarily mean giving those foods up all at once or completely. In this class, we will discuss ways to minimize or eliminate meat and dairy in a way that is best for you as an individual. What will be covered in this class? A look at how the Mediterranean Diet can be a powerful structure for creating your own plant based lifestyle. Guidelines for plant based ingredients that easily replace animal based ones. For example, we will learn about various nut based milk alternatives; which ones to buy and how to make your own. It's never been easier to find high quality plant based products. Basic cooking technique for nutrient dense, delicious plant based dishes. We will also look at how to use herbs, citrus and other ingredients to replace the usual high fat and high salt seasonings. 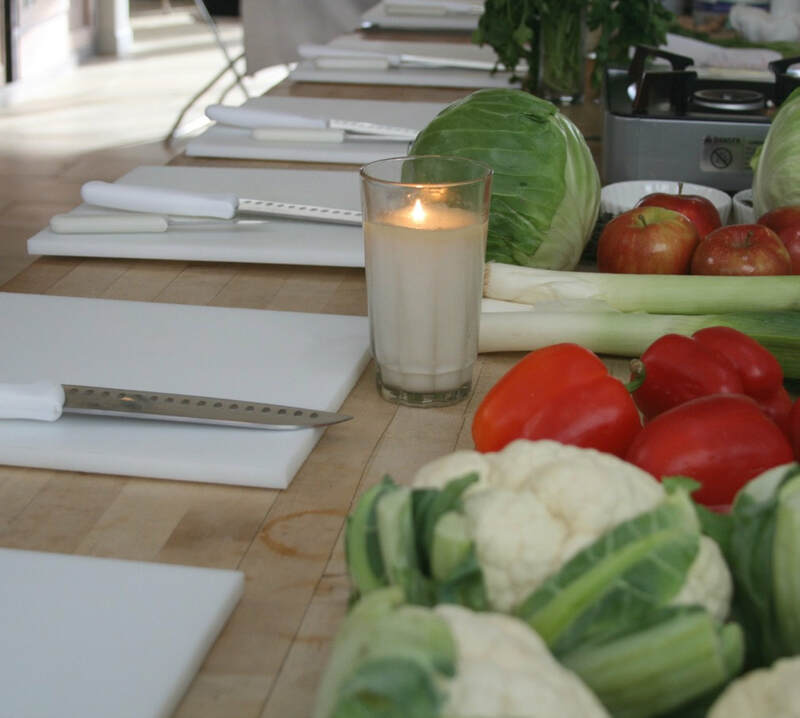 Your tuition will include a one week plant based menu, with recipes, shopping and prep lists. The menu includes 4 "go to" breakfast recipes, dinner recipes and lunch "bowl" recipes that are built on last night's dinner ingredients for maximum efficiency. When will this class be held? The class will be held in the teaching kitchen at Holiwell Health, 3945 Nanz Avenue, Louisville, KY. Holiwell Health is a collaborative space where a team of holistic health practitioners work alongside functional medicine doctor Deborah Ballard.